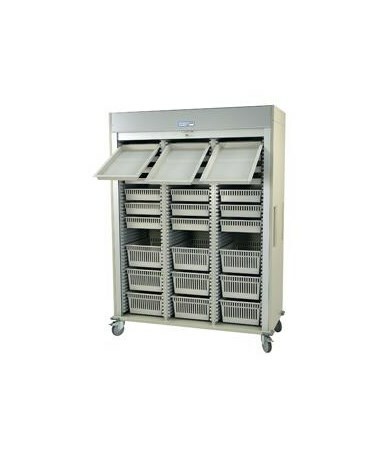 The Harloff Medstor Max Preconfigured Triple Column Arthroscopic Medical Storage Cart with Tambour Door brings the most innovative modular tray system the market has ever seen, providing quick access to medical supplies related to arthroscopic surgery, including torn floating cartilage, torn surface cartilage, and ACL reconstruction. 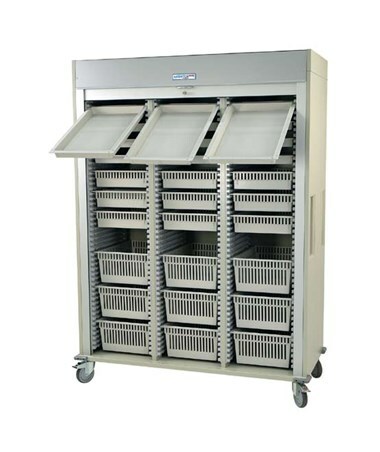 With 30% more storage capacity than the leading competitor's cart, you'll need fewer carts total, which means you save money without losing workplace efficiency. This cart's configuration includes trays of 2", 4" and 8". 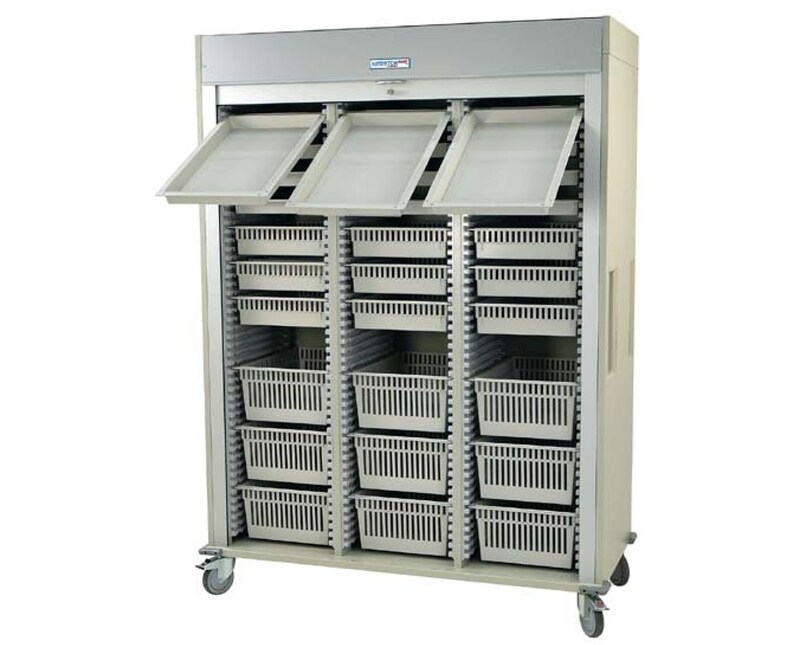 Clip-on locking adjustable dividers give your trays optimum supply organization, and they handle higher loads than the leading competitor's cart. To top it off, one of the columns can be removed to increase catheter storage capacity or install full-width shelves on the left or right of the cabinet.